In stock! We have 9 of these ready for immediate dispatch or more available on demand. 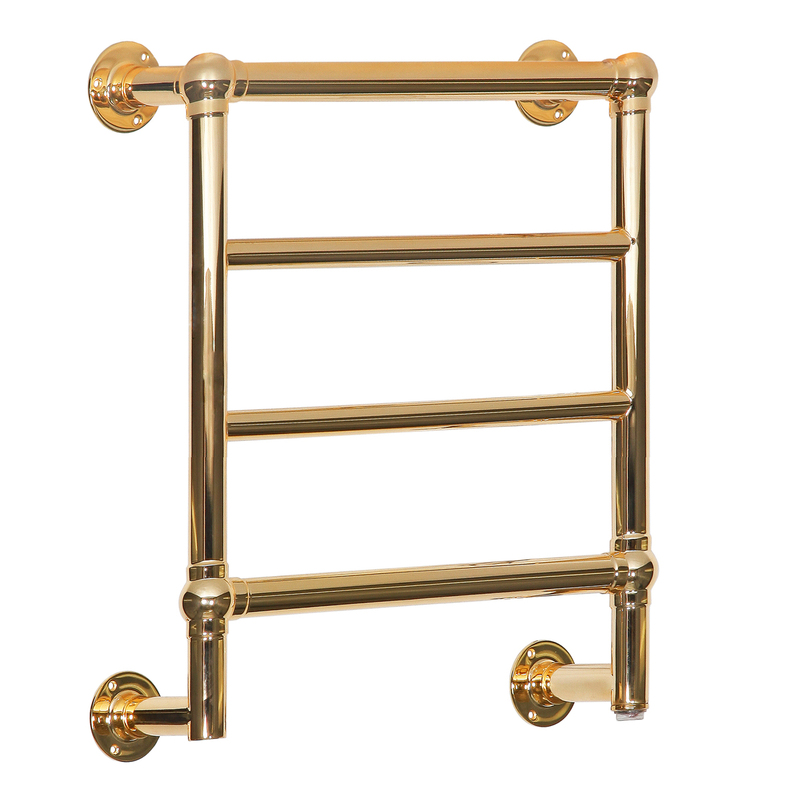 Exquisite four rung, wall-mounted electric towel warmer crafted from stainless steel with a highly polished brass plating. Superb quality, 520mm wide, 585mm tall and 145mm deep. Made in Europe to ISO 9001:2008 and EN442. This is the finest electric towel radiator money can buy, precision engineered inside and out. Exquisite four rung, wall-mounted electric towel warmer crafted from stainless steel with a highly polished brass plating. Robotically laser-welded for neatness and strength on all joints. Superb quality, 520mm wide, 585mm tall and 145mm deep. Made in Europe to ISO 9001:2008 and EN442. This is the finest electric towel radiator money can buy, precision engineered inside and out.